Two unforgettable nights, one incredible artist: Roberto Carlos took to the stage on Thursday May 24 and Friday May 25, 2007, and wowed audiences with his greatest hits sung in Spanish. For fans of this legendary Brazilian artist, it was a much-awaited return. Roberto Carlos had not performed in the U.S. for a decade. Returning to perform at the Adrienne Arsht Center for the Performing Arts in Miami (formerly: Carnival Center for The Performing Arts). Roberto Carlos performed two shows produced by Day 1 Entertainment; the incomparably talented singer and songwriter, backed up by his band E Coral, once again demonstrated why he has sold over 100 million records worldwide. 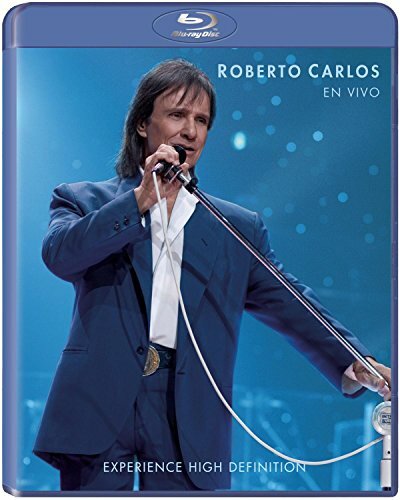 On the second night of "Roberto Carlos en Concierto," the performance was recorded for what will become Roberto Carlos' first Blu-ray release ever in Spanish! Delighting the audience at the sold-out theater with classics such as "Emociones", "Desahogo", "El Día Que Me Quieras" and "Amigo", among others. At the end of the concert, and after a standing ovation, Roberto Carlos came back and performed to three encores as a gesture of gratitude to his loyal fans and audience. Portuguese-speaking fans and lovers of Roberto Carlos' songs in his native language were also acknowledged with the song "Acrostico". This "Live" performance will delight all fans of Roberto Carlos for many years to come.